Cooling Power > Industry News > Blog > What is Clean Air Delivery Rate & Why Does It Matter? What is Clean Air Delivery Rate & Why Does It Matter? Clean Air Delivery Rate (CADR) enables you to see exactly how much cleaner air is when utilizing a certain machine and air flow rate. This is great because it offers a more efficient way to find the ideal air scrubber for a specific space. This future-forward rating system was implemented by the Association of Home Appliance Manufacturers (AHAM) and is now recognized by government bodies like the EPA, as well as retailers, manufacturers, and standards organizations. Typically, CADR’s offer three different measurements for smoke, dust, and pollen. As a result, you are less likely to be misled by a high-efficiency filter that only cleans a small amount of air. Additionally, it can help you pinpoint high air volume that is not being properly filtered. CADR has been used for years to assess the overall performance of filtration equipment, although it is just recently becoming more common place in the restoration and remediation market. CADR measures the exact volume of clean air delivered each minute. Additionally, it looks at the efficiency of the filtration system and the entire machine regarding the airflow rate currently being used. 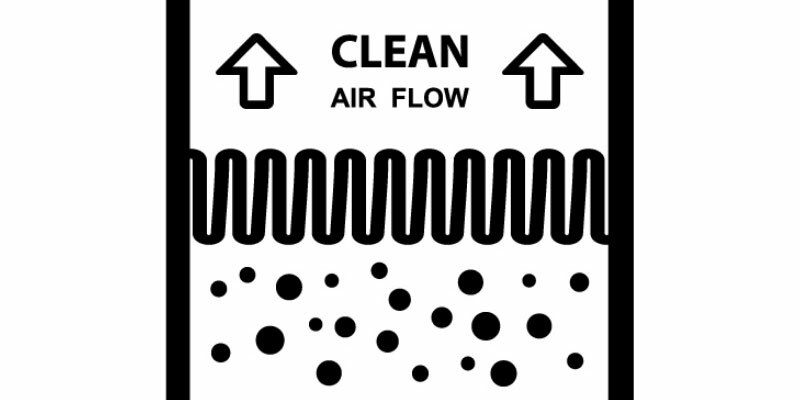 The unique thing about the CADR system is that it can tell you how well an air scrubber is removing particles from the air. Other systems strictly tell you the CFM number or the type of filtration. This is the best way to measure the differences in units and compare them to find the best option. An air scrubber that is highly efficient at filtering and offers high airflow and low-pressure drop will offer the highest CADR numbers. Using the right filter can help get even more efficiency out of your system. CADR is a newer industry method to match the appropriate air scrubber with a space’s overall needs and volume. Even the best systems must be strategically situated around a space to get the best results. Otherwise, it is common for pockets of stale or toxic air to remain simply because these areas are out of reach for the air scrubber. For instance, using several 500 CFM (cubic feet per minute) units dispersed throughout a space will offer better results than placing one larger 1500-2000 CFM unit in one space. The goal is to achieve 6 air changes each hour, or one air change every 10 minutes or so. Some standards are lower—for instance, mold guidelines (as outlined in IICRC’s S520) recommend a minimum of 4 changes per hour. Current standards represent asbestos remediation, hospital sterilization, and mold remediation, but not water damage restoration. Take the room’s total volume and multiply it by 6, which gives you the total cubic feet per hour. Divide this total by 60 to get the total cubic feet per minute necessary. Your answer will tell you the exact air scrubber necessary to maintain 6 ACH in a space. While this system has been used for many years, Clean Air Delivery Rate offers a more efficient way to determine the appropriate air scrubber for a space. Need Help Determining the Right Air Scrubber for Your Space? Cooling Power is here to help match your needs and budget with the right air scrubber. We offer air scrubbers for rent and sale. Contact us today to learn more.